Tonight's craft by granddaughter and grandmother., a photo by mamima project on Flickr. 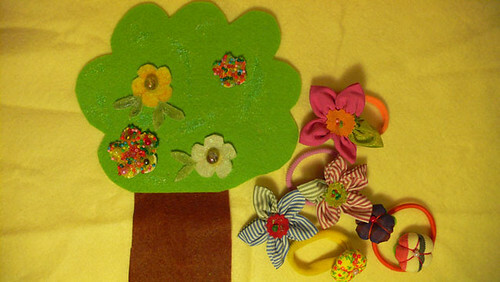 Today the night's craft was dedicated to felt collage (granddaughter) and to Kanzashi flowers (grandmother). A noite de hoje foi dedicada às colagens em feltro e às flores Kanzashi. As artistas foram a neta e a avó.